These presentation slides 46328 are complete compatible with Google Slides. Simple download PPTX and open the template in Google Slides. 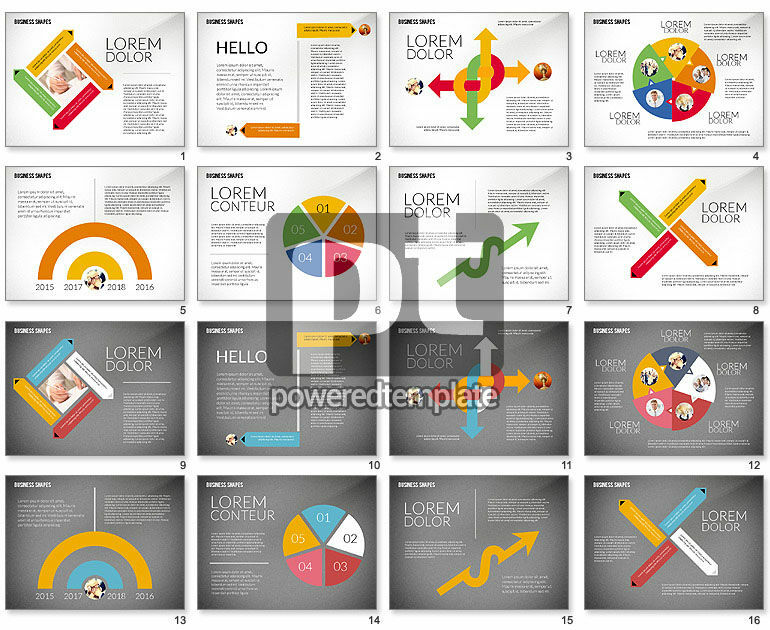 This abstract template will help you to create your gorgeous and really unforgettable presentation devoted to all kinds of connections, relations and stages. There are various circles and arrows with different colors, built in many ways and it is a perfect sample to you, if want to be informative, and laconic at the same time. This sample is made in a nice color palette on two background variants.